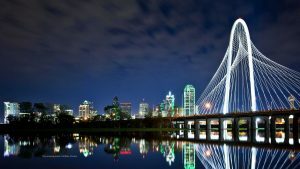 Whether you are a local or just visiting, Dallas has so much to offer and you can see it all with Dallas Tours Limousine Rental Services Transportation. Follow one of the many pre-planned city tours or go off the beaten path and make your own discoveries in any of our vehicles. Enjoy a nice glass of wine or champagne, take a ride in a Limo and enjoy the beautiful city sites of Dallas. Put on the music of your choice and check out the sites with wrap around windows in any of our Party Buses. Luxury Sedans up to 3 passengers, let us drive will you can enjoy all that Dallas has to offer. Drive around town or check out the museums and galleries in a Shuttle Bus starting at 20 passengers. Having a company outing, school field trip or other event, Charter Buses fit up to 56 passengers and gives you full view of all of Dallas's sites and beautiful scenery.